Confession time: My name is Hilda and I am a sugar addict. 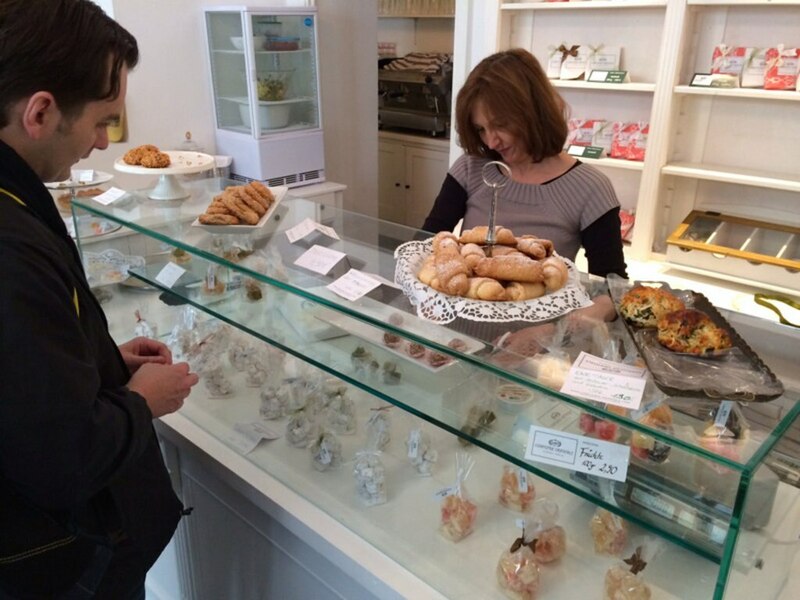 A non-discriminatory lover of sweets, I have rarely met a sugary indulgence I did not like. I'm as big a fan of chocolate as I am of fruity gummy bears, as partial to cake as I am to tortes and pies, and there's pretty much no ice cream flavour I'll say no to. Like any connoisseur, however, I have my clear favourites - the places I seek out when in need of a special treat, or a gift for an equally sugar-loving friend. Image by davemc via CC BY-SA 2.0 licence. One such place is Winterfeldt Schokoladen (Goltzstr. 23), a little piece of chocolate heaven on a scenic corner in Schöneberg. From raw chocolate to fair-trade varieties, gluten- and lactose-free chocolates, plus rare specialities from around the world like intensely dark chocolate with 100% cocoa content - Winterfeldt Schokoladen has it all, along with a stunning interior of ornate wooden cabinets that dates back to 1892, when the space was home to an apothecary. Chocolate addicts will no doubt want to stock up on some of the hot chocolate mixes and chocolate spread for smearing on toast (chocolate for breakfast - why not?). The back room houses a small café where shoppers can take a break over a wedge of chocolate cake and a cup of thick, rich hot cocoa, made by melting pure chocolate into full-fat milk. Image by Su-May via CC BY 2.0 licence. 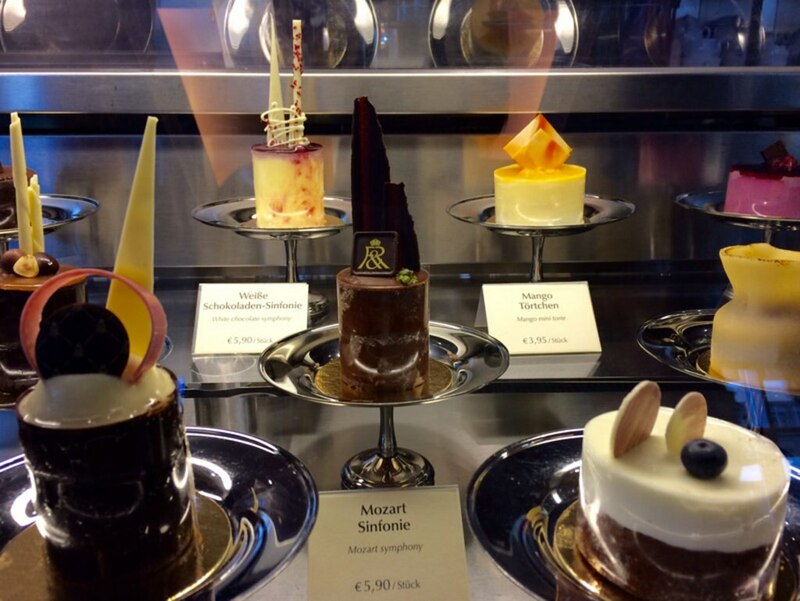 Besides Schöneberg, another must-see destination for chocolate lovers in town is Gendarmenmarkt. This pretty square in Mitte is home to two impressive chocolate emporiums: first, the Fassbender & Rausch Schokoladenhaus, or 'chocolate house' (Charlottenstr. 60). Downstairs is the chocolate brand's magnanimous store, including a praline counter that they claim is the longest in the world. The shop displays never fail to impress: the in-house chocolatiers are famed for creating massive sculptures out of hundreds of kilogrammes of chocolate, like a chocolate Brandenburg Gate and a nearly life-sized chocolate Santa. Upstairs is a chocolate café with a hot chocolate selection to rival that of Winterfeldt Schokoladen, as well as an array of dainty tortes. From there, it's just a quick stroll up the road to the flagship store of Ritter Sport, maker of the world-famous square chocolate bars (Französische Str. 24). The schokowelt ('chocolate world') stocks Ritter Sport varieties that are hard to find elsewhere, including organic and lactose-free bars, but the big draw here is the counter where custom chocolate bars are mixed up on the spot. Pink pepper with cranberries and milk chocolate? Caramelised coconut with almond and white chocolate? It's all possible here at the hands of the Ritter Sport pros. Image by LWYang via CC BY 2.0 licence. What's just as universally loved as chocolate? Two words: Cheese. Cake. 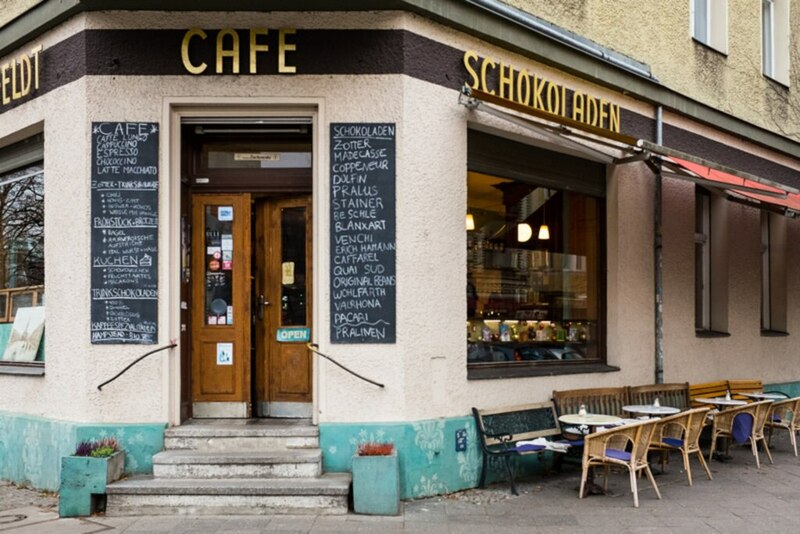 The Princess Cheesecake bakery and café is one of Mitte's most popular spots for partaking in the hallowed German afternoon tradition of 'kaffee und kuchen' (Tucholskystr. 37). The dainty white interior is matched by the pretty and expertly decorated cakes, which run the gamut from traditional German cheesecake to New York-style cheesecake and cheesecakes embellished with chocolate caramel or fruit curd. For sweets with an exotic twist, the Confiserie Orientale shop around the corner specialises in the best-quality lokum, or Turkish Delight, available this side of Istanbul (Linienstr. 113). The delicate and chewy delights flavoured with pistachios, hazelnuts, rose petals, or cardamom can be enjoyed on the spot or nicely packaged for gifting. 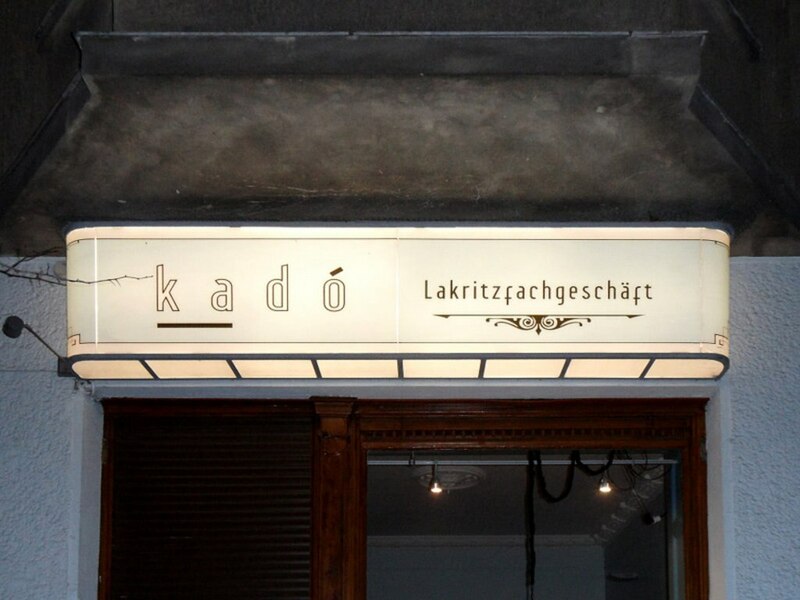 Last but definitely not least is Kado, which is not only my favourite candy shop in Berlin, it's also one of the city's most unusual (Graefestr. 20). The focus here is on the most contentious, divisive candy of all: black licorice. It's a love it or hate it kind of thing, but those who fall into the former camp (as I do) will adore Kado's unrivalled selection of licorice sweets, chews, chocolates, lozenges, liquors and more, sourced from Iceland to Italy, Sweden to Australia. Most of the selection is displayed in old-timey glass jars and sold by weight in brown paper bags, sating childhood nostalgia along with sweet-tooths. Are you burdened with the same sweet-tooth affliction? Give in to temptation by checking out our Berlin hotel deals.